18 Fun & Effective Rebounding Drills to Dominate the Boards! Here's How To Control The Offensive and Defensive Glass, Even If Your Kids Are Small, Slow, or Can't Jump! Rebounding. It's probably the most under-appreciated (yet vitally important) skill in the game. Maybe even the biggest key to winning. Controlling the boards gives your team more possessions to work with. And takes possessions away from your opponents. The more times you possess the ball, the more opportunities you have to score. They score less and you score more. And you walk away with the "W"
If you can't rebound, you won't win. It's just that simple. Good rebounding drills are hard to find. Most of the "popular" ones out there are one-dimensional, repetitive, or just plain boring. It's almost impossible to find drills that teach rebounding fundamentals... while keeping your kids ENGAGED and FOCUSED during practice. That's why we created Team Rebounding Drills. Inside you'll get instant access to 18 fun and effective drills to help your team dominate the boards. Sum Box Out Drill: one of my all-time favorites. Try setting up a "tournament of champions" for this drill... your kids will love it! Kevin McHale Drill: an excellent offensive rebounding drill pioneered by one of the great power forwards of all time! Even if your kids are small, slow or can't jump, you can dominate your opponents on the boards with better technique and increased effort. And these drills show you exactly how to get that done. All 18 of these drills are based on concepts and ideas from some of the most established and successful high school and college coaches of all time. I've pulled together in one simple collection every drill you'll need to improve your team's rebounding skills and start dominating your opponents on the glass. Plus, if you're one of the first 500 coaches to order, you'll also get these this FREE gifts valued at $49.95! Click the Add to Cart button below to get instant access to Team Rebounding Drills - Risk Free for just $7. YES, I want in! 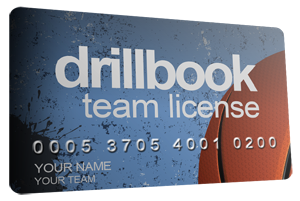 I want access to the Team Rebounding Drills eBook and the Team License. Please give me INSTANT access to this step by step coaching system right now! Just download Team Rebounding Drills and you'll get instant access to a complete system you can start using today! 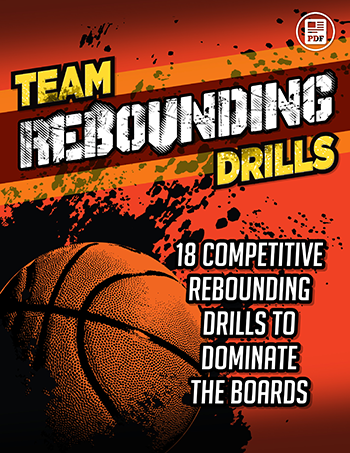 Click here to get instant access to Team Rebounding Drills now for just $7! Hurry... Get Team Rebounding Drills Now!